Catalyst is designed for schools in all contexts and across all student age groups. It is for use by and with middle leaders and other teacher leaders within and across schools, and the senior leaders who support teacher/middle leaders. Middle leaders have a formal role, with responsibilities for a subject, cross-curricular aspect of teaching and learning, social development of students, or for a stage or phase of schooling. Teacher leaders are informal leaders. Teaching is central for them, but they also choose to play a collaborative role in leading change and supporting the professional learning of colleagues in their school and other schools. - facilitators of leadership development, especially teacher/middle leadership. "This ingenious game-like yet evidence-informed professional conversation-starter will help both challenge and deepen leaders' thinking and develop their strategies, while making the business of becoming a better leader playful rather than pompous or ponderous." "This unique resource will be highly useful to every professional learning educator. 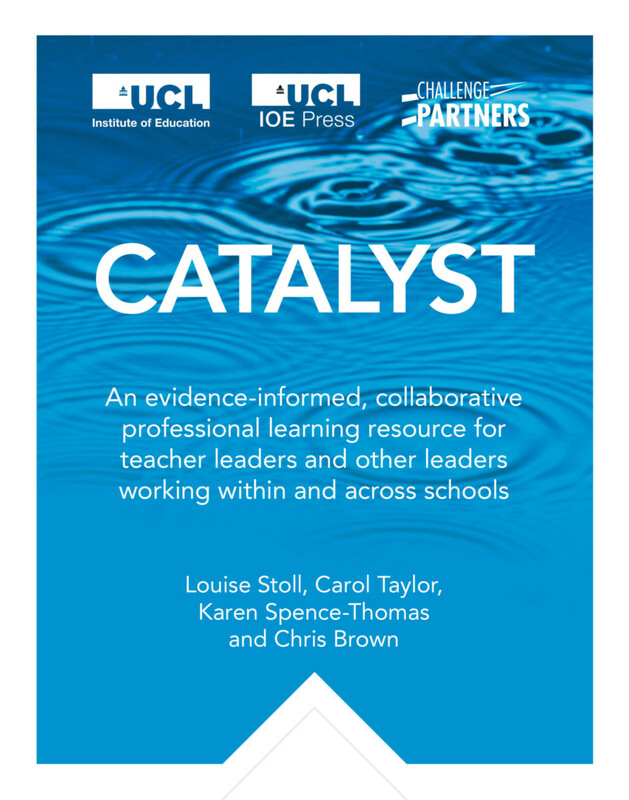 The research findings are insightful and the format of the Catalyst materials will allow users in many parts of the world to place important and evidence-informed ideas into their school change practices." "Original, eye-catching, mind-engaging, practice-improving and brim full of professional learning practices which we know work well. The Catalyst cards are the perfect catalyst for professional growth and in turn the development of more capable learners." "An innovative professional learning resource that supports and enables leaders to engage colleagues with evidence-informed practice. Highly recommended!" Carol Taylor is the Strategic PD Program Leader in the London Centre for Leadership in Learning at the UCL Institute of Education. Karen Spence-Thomas is a Program Leader in the London Centre for Leadership in Learning at the UCL Institute of Education.